Provide comfort for the family of Billie Kelly with a meaningful gesture of sympathy. Billie Weaver-Kelly, 79, of Cottonwood, Texas passed away on Tuesday, April 9, 2019 in Cottonwood, Texas. Funeral service will be held Saturday, April 13, at 2:00 PM at Higginbotham Funeral Home Chapel in Cross Plains, Texas with Matt McGowen officiating and Charlie Rogers assisting. Burial will follow at Cottonwood Cemetery. The family will have a time of visitation Friday, April 12 from 6:00-8:00 pm at Higginbotham Funeral Home in Cross Plains, Texas. Billie was born November 17, 1939 in Cottonwood, Texas to the Late Erby E. and Eva Weaver. Billie married William H. Kelly in Cottonwood in 1958, who preceded her in February of 2012. She retired from the United States Postal Service after 35 years of service as a Rural Mail Carrier. She was a member of the First Baptist Church in Cottonwood, Texas. Billie was preceded in death by her loving husband, William H. Kelly; parents, Erby and Eva Weaver; 3 brothers and 3 sisters. 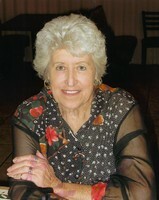 Billie is survived by her sons, Dennis Kelly and his wife, Kathy of Brownwood; Jimmy Kelly and his wife, Rebecca of Lake Brownwood; Keith Kelly of Cottonwood; grandchildren, Skye Burleson and husband, Phillip of Brownwood; Coby Kelly of Cottonwood; Misty Mays and husband, Jeremy of Cross Plains; Brian Kelly of Abilene; Justin Kelly and wife, Cassie of Cross Plains; 8 great grandchildren and one on the way; 2 great-great grandchildren; brother, Herman Weaver of Cottonwood; sister, Mary Weaver of Cottonwood; special friend, Norma Farmer. To send flowers in memory of Billie Kelly (Weaver), please visit our Heartfelt Sympathies Store. Provide comfort for the family of Billie Kelly (Weaver) by sending flowers. Proudly Serving the Communities of Cross Plains, Rising Star, Gorman Since 1914. Please sign our online condolence book.